Our second MPavilion was designed by AL_A, the studio of award-winning British architect Amanda Levete was gifted to the City of Melbourne by the Naomi Milgrom Foundation and now resides in Docklands Park at the corner of Collins Street and Harbour Esplanade, Docklands. It’s an honour to have been commissioned by the Naomi Milgrom Foundation to design the second edition of MPavilion. I’ve visited Australia three times in the past six years, and without doubt Melbourne is my favourite city. I’ve always met a diverse and interesting group of friendly, welcoming people. It’s people that make a city creative—and that’s why I love Melbourne. The brief is a great opportunity to design a structure that responds to the climate and the landscape. I wanted to exploit the temporary nature of the pavilion form and produce a design that speaks in response to the weather. Rooting the pavilion in its parkland setting, I looked to create the sensation of a forest canopy in the heart of the city that gives shelter to a program of events. At AL_A, we have a long history of working with boat builders, and Australia has some of the finest. We’re working with a nautical fabricator to employ the boundary-pushing technology of composite materials to create the canopy, which is made up of a number of seemingly fragile, translucent petals supported by impossibly slender columns that gently sway in the breeze. Naomi Milgrom with MPavilion 2015 architect Amanda Levete of AL_A. Photo by Peter Guenzel. Amanda Levete is a Stirling Prize–winning architect and founder and principal of design and architecture studio AL_A. Since its formation in 2009, AL_A has refined an intuitive and strategic approach to design that has radicalised clients and briefs, and led to a diverse range of concepts for cultural, retail and commercial schemes around the world. 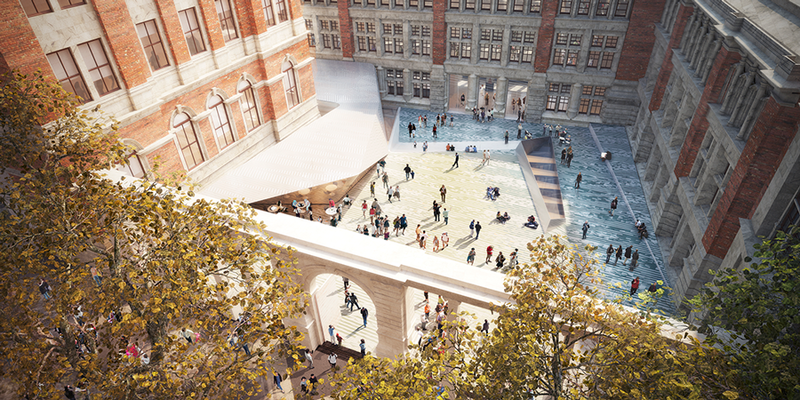 Recent commissions include the highly anticipated expansion of the Victoria and Albert Museum in London; a 1.5 million square-foot luxury shopping mall and hotel in Bangkok on the former grounds of the British Embassy; a new centre for the cancer care charity Maggie’s; a 13-hectare media campus for Sky; and a cultural centre in Lisbon commissioned by Energias De Portugal (EDP), one of the world’s foremost energy companies. Amanda’s practice is widely regarded as having challenged and advanced the agenda for architecture in the twenty-first century. 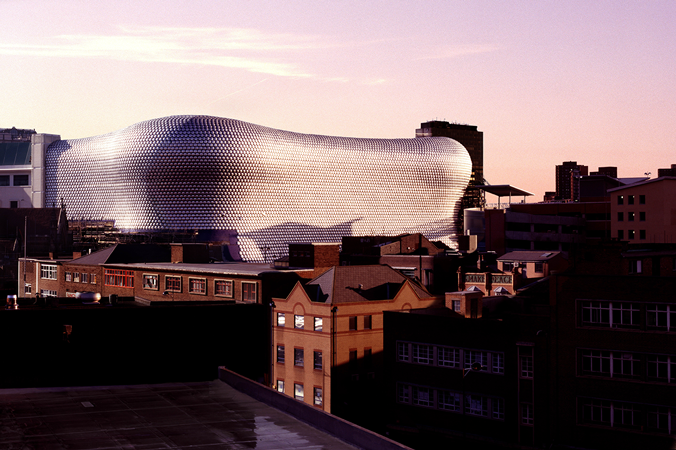 She trained at the Architectural Association and worked for Richard Rogers before joining Future Systems as a partner in 1989, where she realised groundbreaking buildings including the Media Centre at Lord’s Cricket Ground and Selfridges department store in Birmingham. Alongside her architectural work, Amanda is a trustee of leading social innovation centre the Young Foundation, and served as a trustee of influential arts organisation Artangel for over a decade. She is also a regular radio and TV broadcaster, writes for a number of publications including New Statesman and Prospect, and lectures throughout the world. 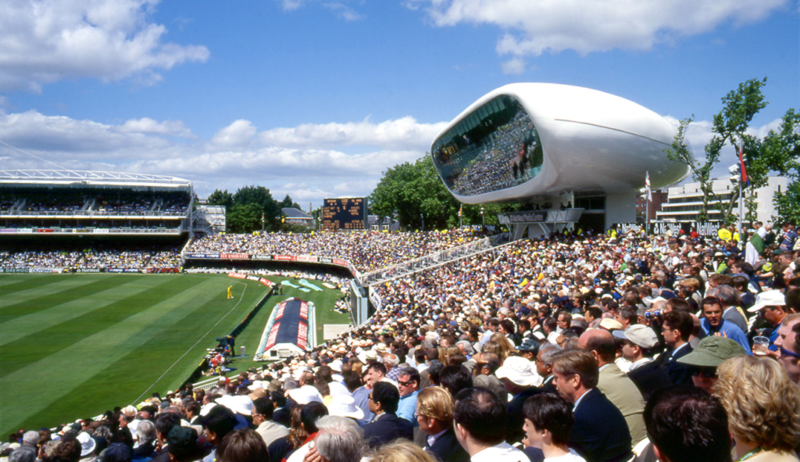 Lord’s Media Centre designed by Future Systems. Selfridges designed by Future Systems. Photo by Norbert Schoerner. ‘Designing in the post-risk world’ by Amanda Levete. Courtesy Australian Institute of Architects, Risk National Architecture Conference, May 2015.